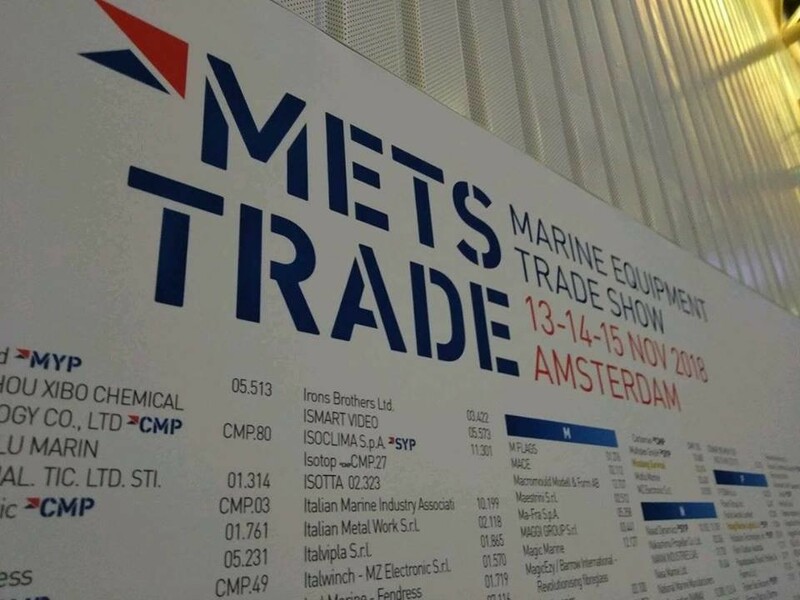 The 2018 edition of Mets in Amsterdam, the world’s leading nautical subcontracting trade fair, ended on 16 November. Invest In Tuscany took part together with the staff of ICE Brussels to carry out a scouting of potential foreign investors interested in investing in Tuscany. Mets 2018 confirmed to be the leading appointment for companies supplying boats: 1,600 exhibitors from 50 countries, 237 new companies have taken part in this year’s fair. Many italian companies partecipated also in the Italian collective exposition by Ucina within the Italian Pavilion. Very interesting for Tuscany and its Invest in Tuscany office were the meetings held inside the Superyacht Pavillion during the three days of the event. In the months leading up to the fair, Invest in Tuscany had carried out an initial survey of the companies that would be present, selecting 48 contacts of particular interest, identified, thanks also to the support of Navigo Toscana, among the companies operating in the production of motors, accessories, batteries and storage systems and products for ports. These are the points of the regional supply chain where the opportunities for foreign companies to enter a territory rich in opportunities for the production of superyachts are most evident. During the fair twentytwo meetings were held at the stands of the exhibiting companies, in most cases speaking directly with the managing directors of the companies of main interest and checking with each of them any interest in development projects to be carried out in Tuscany. In the various meetings it became clear how much the Tuscan boating industry is a highly recognized brand, in many cases it was enough to appoint the district of Viareggio to have immediate feedback from the interlocutors of the interest in having a dialogue. In the few cases in which Tuscany and Viareggio were not enough to make people understand what we were talking about, it was enough to name the brands of the main shipyards working in the Tuscany area to illustrate the context of reference. Surely it is important, therefore, to continue to invest in territorial marketing actions aimed at strengthening the reputation of our region in the yachting sector. The most interesting companies met during the fair were the American ones, some of which have revealed that they have already evaluated the possibility of settling in Italy, given the importance of the boating sector in our country, especially in Tuscany. In general, all the contacts made within the Superyacht Pavillion have been fruitful, confirming the vocation of the Tuscan territory for the production of pleasure boats over 25 meters of very high quality. Many of the companies contacted were interested in taking part in the next Versilia Rendez Vous, an international reference event for the largest boats. Some companies also expressed interest in participating in an incoming event that Invest in Tuscany would like to organize in early 2019 in order to show the investment opportunities existing in the area.